Green Clean has been serving the Southern Nevada business community since 2003. We are fully insured, hold business licenses in Las Vegas and Henderson, and are a “Green Clean Certified” company. Green Clean Commercial Cleaning holds the Green Clean Institute Certification for ownership, management and employees, requiring annual inspection and recertification. Healthcare facilities are often required to keep stringent cleaning policies and procedures in place due to the prevalence of healthcare-associated infections (HAI). According to Center for Disease Control (CDC) estimates that 721,800 Healthcare-Associated Infections occurred in hospitals in 2011. The survey goes on to find that on any given day, 1 in 25 hospital patients has at least one healthcare-associated infection. Since 2005, more than 30 states have begun requiring hospitals to release their infection rates, prompting many to look closely at a healthcare facilities cleanliness when deciding to use their services. The healthcare industry has become more competitive with private healthcare facilities, concierge medicine, public healthcare facilities, and quick care facilities all fighting for patients. The industry has become more focused on providing great customer service as well as providing necessary healthcare services. Eco-friendly solutions effective against many virus’ and bacteria. What Can Green Healthcare Cleaning Services Do For You? As a locally owned and operated Las Vegas business, we understand how valuable customer service and quality green cleaning services are. 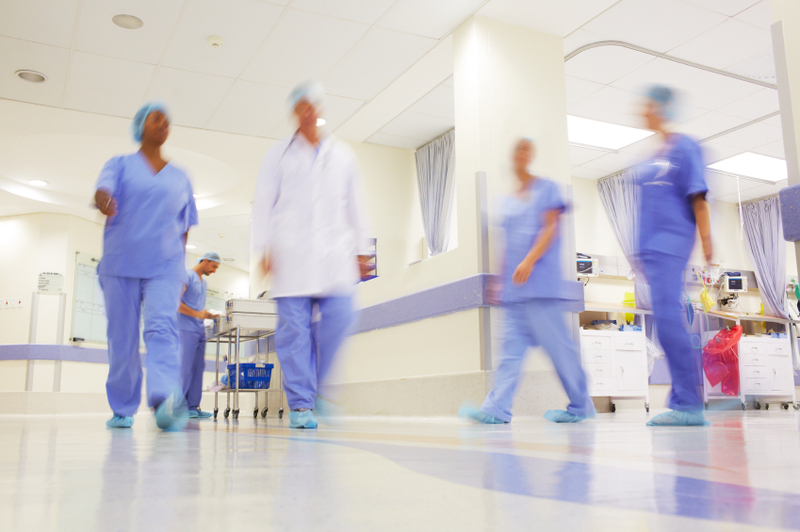 We understand the critical nature of healthcare surface disinfection and preventing HAIs. Whether you manage a hospital, outpatient facility, medical office or surgery center, Green Clean has the procedures and training in place to exceed your expectations. Green Commercial Cleaning uses a full breadth of ready-to-use Clorox disinfectants engineered with a patented peroxide formula for fast effective cleaning. Fast: the fastest non-bleach bacteria and virus contact times available. Compliant: can meet 32 bacteria and virus contact times with one wipe on a 4 ft surface. No Fragrance Added: light, naturally occurring scent for a patient and staff comfort. Noncorrosive: doesn’t damage sensitive medical equipment. Contact Us to Get Your Free Janitorial Services Quote.